Karen, M., Lian, T., Stucker, F. The Use of Percutaneous Sutures for Graft Fixation in Rhinoplasty. Submitted to Archives of Facial Plastic Surgery. April 2001. Stucker, F. Karen, M. Lian, T. Use of Conchal Cartilage Grafts for the Treatment of the Keel Nose. Submitted to Archives of Facial Plastic Surgery. April 2001. Dr. Karen enjoys golfing, playing tennis, and general fitness in his spare time. He is married with four children and likes to spend time with his family. Dr. Matthew Karen, a leading Board Certified facial plastic surgeon in Virginia, has earned the trust and respect of both his patients and medical community by his education, excellence in surgical skills, and his warm demeanor. He has spent his entire career operating on and evaluating the face, head, and neck. This training provides him with unique expertise in treating cosmetic, functional and reconstructive needs of the nose, ears, and face. Dr. Karen has been practicing in the Winchester area since 2001 and is an active member of the Winchester Medical Staff. 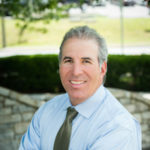 Committed to medical and aesthetic surgical excellence, Dr. Karen and his staff stay on the forefront of plastic surgery education and skills development by allocating time to attend educational conferences and training. Dr. Karen pays careful attention to remaining current with research and studies in professional journals on the latest cosmetic surgical techniques and procedures. He has given multiple lectures and discussions on all facets of Facial Cosmetic Surgery has published numerous articles and has coauthored book chapters on various topics on Facial Plastic Surgery. Dr. Matthew Karen began his higher education in New York, receiving his BA from Binghamton University. He then completed his medical degree at Upstate Medical University in Syracuse, New York. After graduating, Dr. Karen spent two years as a surgical resident and then went on to complete a four-year Otolaryngology (ENT) residency at Columbia-Presbyterian Medical Center in New York City. Upon completion of his residency, Dr. Karen was accepted to a highly competitive Fellowship under the tutelage of Dr. Fred Stucker, a world-renowned Rhinoplasty, and Facial Plastic Surgeon. Dr. Karen is board certified in Facial Plastic and Reconstructive Surgery, receiving his certification from the American Board of Facial Plastic and Reconstructive Surgery. He is also board certified in Otolaryngology.